The Story: Shelby Holmes is not your average sixth grader. 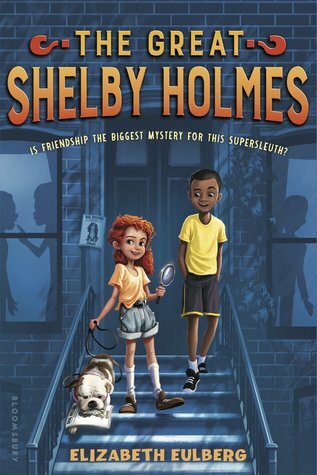 She’s nine years old, barely four feet tall, and the best detective her Harlem neighborhood has ever seen—always using logic and a bit of pluck (which yes, some might call “bossiness”) to solve the toughest crimes. Thoughts from David: The Great Shelby Holmes is a very good mystery novel. Shelby is plain incredible with the fact she can deduct almost anything. She deducted that the main character, John Watson's (Yeah, both Shelby and John's last names are spin-offs on Sherlock Holmes and John Watson) mom had served in Afghanistan just from boxes, a medical license, and that John's mom had a limp. John may not be a genius detective like Shelby, but sometimes John sees things that Shelby might not, like things about stuff that Shelby doesn't notice, like basketball. All in all, The Great Shelby Holmes is an amazing book. I definitely recommend this book to anyone who likes mystery books. You'll be laughing and trying to solve the mystery with Shelby and John the whole way through!